Soflens daily disposable contact lenses manufactured by Bausch & Lomb combine outstanding all-day comfort with incredibly crisp, clear vision, especially at night. SofLens delivers all the fresh, new lens benefits of a daily disposable lens providing the ultimate lens-wearing experience. 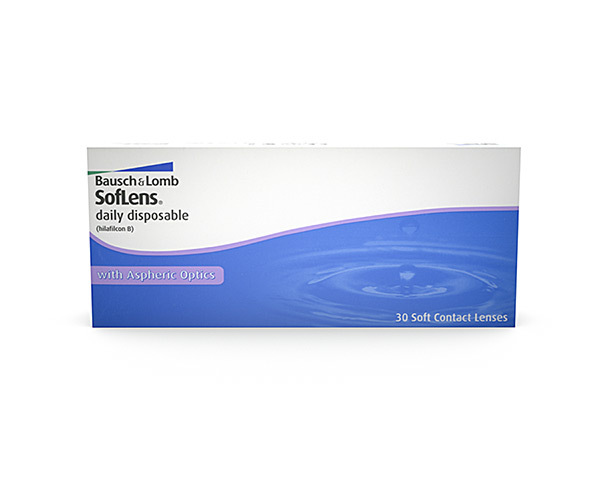 SofLens daily disposable lenses achieve a high level of comfort through ComfortMoistTechnology – Bausch & Lomb's unique lens design and innovative packaging solution. The lens design is exceptionally thin, allowing for a remarkably natural feel on the eye. The slow-release packaging solution creates a cushion of moisture around the lenses – keeping your eyes comfortable all day through the end of the day.